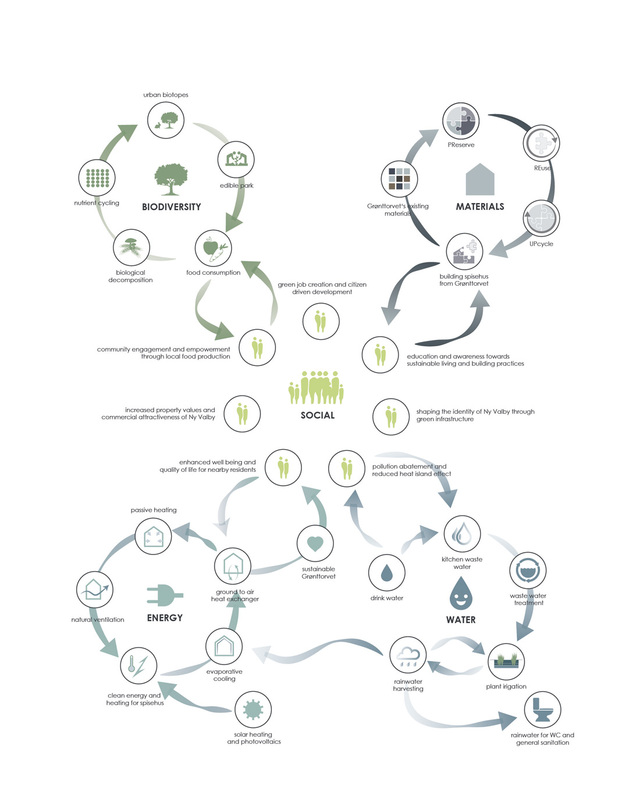 What if we told you that we already have the building materials we need? The new Grønttorvet dining house builds on the “Spis Din Park” (Eat Your Park) concept. The house becomes largely self-sufficient thanks to the nearby green house. The structure is built exclusively out of upcycled materials from the old greenery market called Grønttorvet, which ensures that the market’s unique history and identity becomes part of the new story of the area. 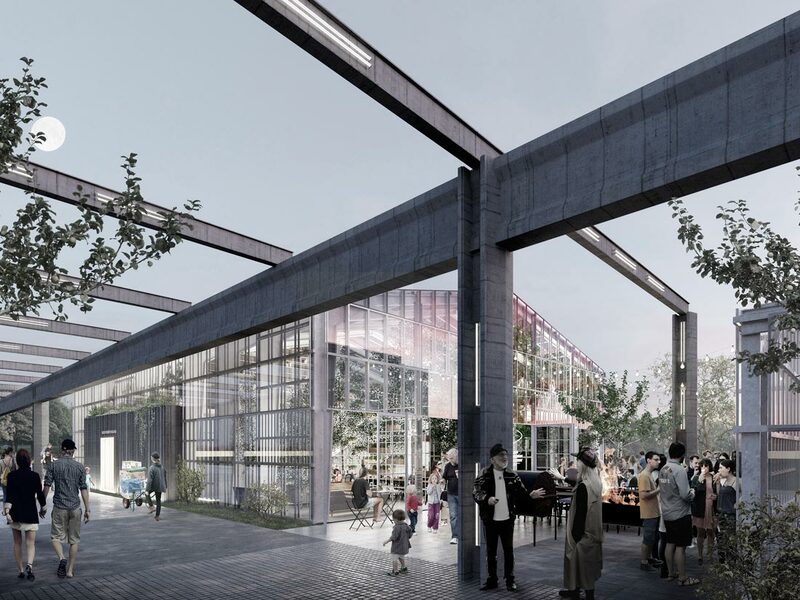 The dining house will be an example of how to mitigate climate change by reusing existing building materials such as concrete (33,300 cubic metres), brick (4,000 square metres) and glass (31,000 kilos) already present on the site. In this way, Lendager Group ensures that existing materials are used optimally. By upcycling materials, Lendager Group minimizes the dining house’s total CO2 emissions by approximately 70%. Furthermore, the dining house will engage the local residents and enhance the identity of New Valby through its green and appealing profile. 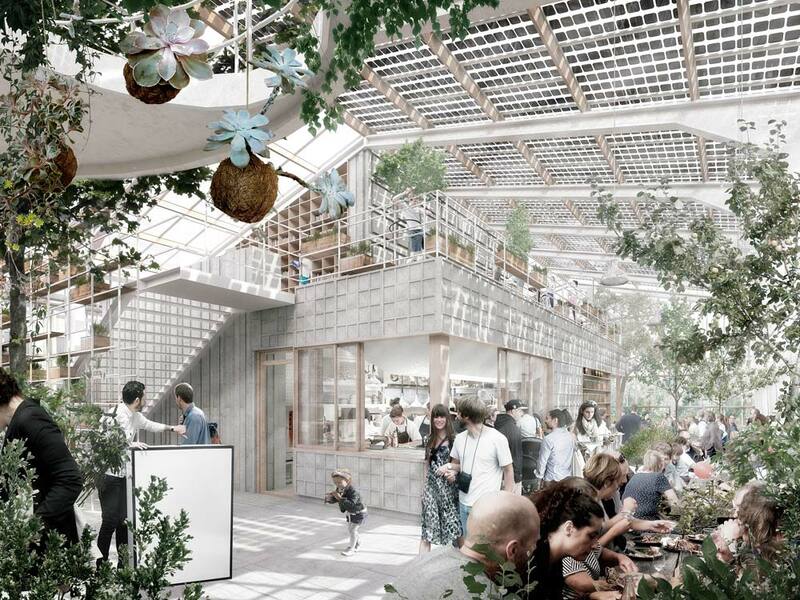 By exploiting the potential of materials and energy resources in all technical and biological solutions, the goal is to create Denmark’s most sustainable dining house. In keeping with this goal, the house will function as a self-sufficient community centre and public kitchen and raise awareness about the effect of our daily choices regarding food. It will be a common dining house in which excess materials move constantly from one system to another, thus completely eliminating the idea of waste. Grønttorvet’s common dining house is thought of as an open and inviting space that is transparent, thereby disseminating the house’s many diverse activities. The dining house becomes a large multifunctional room where a variety of activities take place simultaneously, an engaging establishment that is open to people of all backgrounds and beliefs. The house essentially functions as a large common living and dining room where people can meet and get to know each other around a table or through their common interests. Grønttorvet’s common house also includes, in addition to the dining house itself, a large greenhouse, which will provide the kitchen with a year-round supply of fresh herbs, fruits and vegetables. 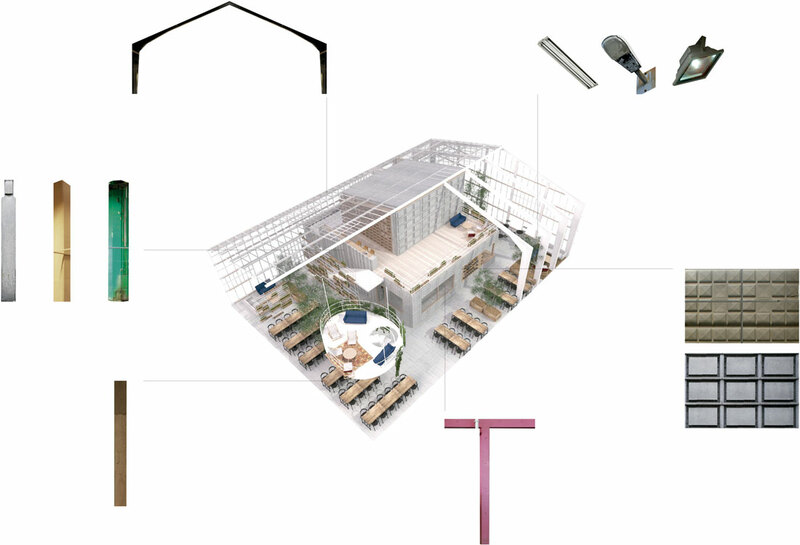 Both the dining house and the greenhouse acquire a uniform pavilion-like expression, and together they form the framework for a new space that connects to the promenade overlooking the park.